I have to admit that I am really not that big of a fan of chicken wings. Don’t get me wrong, I love the flavor. It’s mainly the work that goes into gnawing on a bone for just a measly morsel of meat. But, I also get why most guys like them…they feel like authentic cavemen. This is probably the same reason why they dig ribs too. And turkey legs. So what better way to get the meat AND the buffalo flavor without the mess? Meatballs. Buffalo Meatballs. These mini meatballs are perfect if you have a gaggle of people coming over at different times, because you can keep them warm and saucy in a crock pot. They are an easy finger food and a HUGE hit! I recommend using Frank’s hot sauce. It’s the best buffalo sauce that I’ve found. 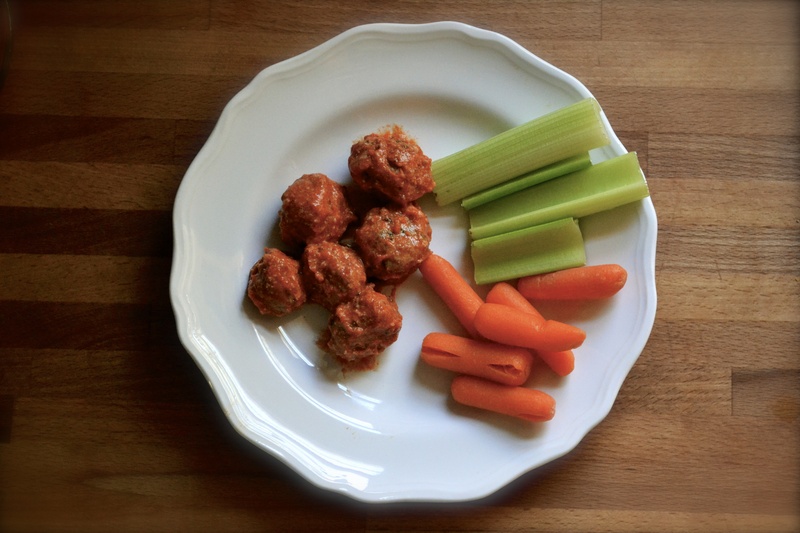 You can make these meatballs with either ground chicken or ground turkey. However, I should note that ground chicken is a bit harder to form into balls. I used ground turkey in this recipe and found them to be easier to mold and deeeeelicious. Adding a tad bit of coconut milk to the buffalo sauce adds creaminess. Don’t worry, it doesn’t impart a coconut flavor at all. But you could easily sub melted butter for the coconut milk, if you are into that sort of thing. *Note – If you do not have almond meal, you can either use 1/4 cup of oat flour or 1/2 cup of bread crumbs. However, these alternatives are not gluten-free, unless you use gluten-free oats and/or gluten-free bread crumbs. Preheat the oven to 450F. Spray two 9X13-inch baking dishes with nonstick spray. Set aside. Combine the ground turkey, egg, 3 tablespoons of hot sauce, parsley, paprika, salt, garlic powder, and almond meal in a large mixing bowl and mix by hand until thoroughly incorporated. Roll the mixture into 3/4-inch round balls. Place the meatballs in the prepared baking dish. Line them up carefully, keeping them in even rows vertically and horizontally to form a grid. The meatballs should be touching one another. Roast at 450F for 15 to 20 minutes, or until the meatballs are firm and cooked through. A meat thermometer should read 165°F in the center of the meatball. Carefully transfer the cooked meatballs into a warmed crock pot. Add the remaining Frank’s hot sauce (1/2 cup) and coconut milk (or melted butter) to the crock pot. Toss to coat the meatballs. 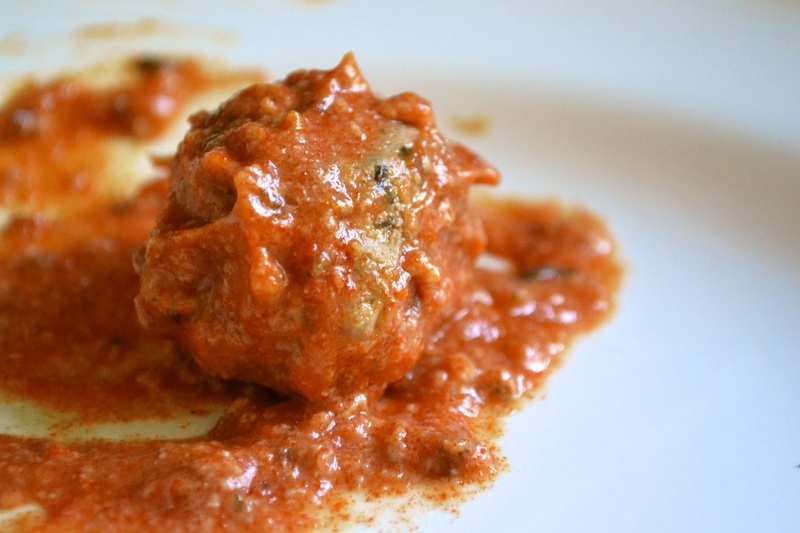 The meatballs are ready when the sauce is warmed or allow to cook on low until your guests arrive!